Provide weather information analysis service that will influence to customers` core business metrics (sales, sales, etc.) in the form of tables and graphs, including the results based on the scientific and statistics analysis. - Example: A product sales increased from 10 ℃ drastically and most well-sold at 22.3 ℃. 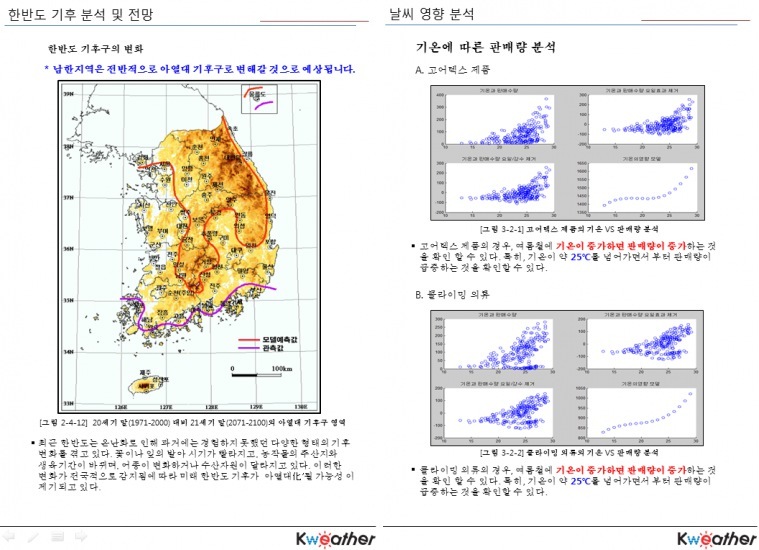 based onanalyzing weather factors (temperature, precipitation, etc.). correlation between weather and color. Major targeting business sector Apparel, retail, leisure, foodservice etc.